Residents locating a pool on their property within the Red River Planning District are required to obtain a permit. Details of the location of the pool, fencing and security (ie: gates and latching devices) must be identified. 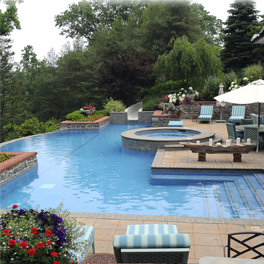 Whether the hot tub, pool or pond is temporary or permanent, in-ground or above ground, if it can hold more than two (2) feet deep of water, a pool permit is required.